Here at The Hudson, we believe renting an apartment in downtown Chicago has far more advantages than buying a home. Are we biased? Probably. But try to imagine, you’ll have access to our beautiful city, get to live in a place that is constantly evolving, and be surrounded by a multitude of culturally diverse people. Don’t believe us? Check out this list of reasons to rent. Down payments can be enormous when buying property. Sometimes as high as 20% of the total cost. For reference say the down payment is 10% of a $300,000 house, that’s still $30,000! Not to mention most people tend to pay more to reduce interest rates. Renting an apartment, on the other hand, can be a lot cheaper and monthly payments might be substantially less. 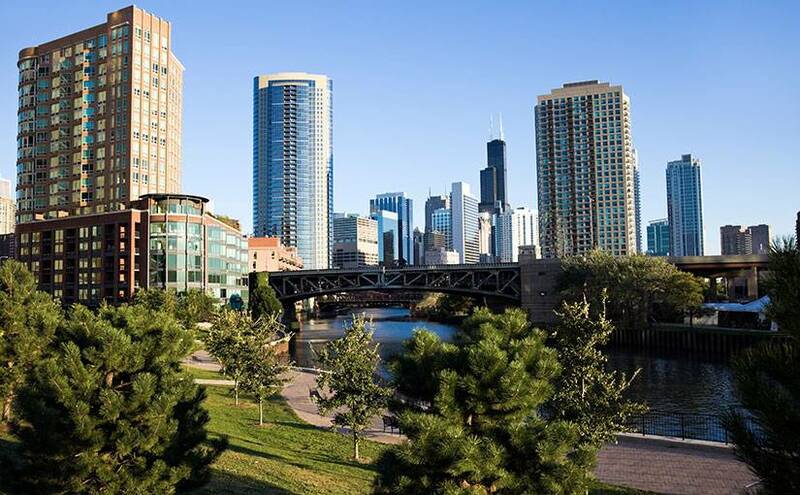 It is standard for landlords to charge monthly rent– the price of an average apartment in downtown Chicago can vary depending on location and size. Another advantage to rental apartments in Chicago are amenities. For no extra charge, you’ll get access luxuries like an outdoor pool, professional fitness facility, dry sauna, chef’s catering kitchen and full-service business center. While if you owned a home, it would cost thousands to install similar luxuries. Having the flexibility to move is another big plus. A standard lease lasts up to a year while buying a house is a serious commitment. Houses are difficult to move out of and come with many extra transitioning fees. Rental apartments in Chicago are responsible for standard room maintenance. This means no extra costs or repair bills for a leaking roof, water pipe, or blown light bulb – the landlord is responsible. While homeowners have to deal with it themselves. Lastly, renter’s insurance is much cheaper than a homeowner’s insurance policy. An average apartment in downtown Chicago will charge renters $12 per month while a homeowner’s ranges from $25-$80! Overall there are a plethora of pros to renting. You are free from ownership responsibilities – maintenance, upgrades, and structural problems. You’ll get a fixed expenditure for maintenance. And as a bonus, renters have access to exciting amenities that would otherwise cost a fortune. The cons are minuscule compared to the pros. The most concerning are having to abide by community rules – this includes how many pets you are allowed, number of guests, and quiet hours. And the reality that there won’t be as much space as in a house. This means less room for living and storage. Looking for a place to live in Downtown Chicago? The Hudson in Chicago offers a variety of luxury rental apartments centrally located in the River North district. To learn more about room plans, availabilities, pricing, or to make a booking, contact us today. Such a Beautiful and advantages apartment. good job.